The Global Spirits Masters series has long celebrated the very best liquid the industry has to offer. 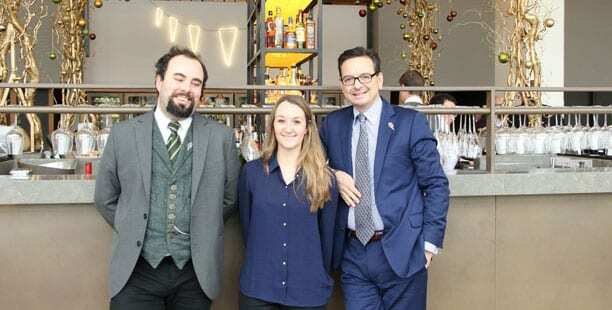 Last year, The Spirits Business felt it was high time the often unsung heroes of the sector had their time in the spotlight – after all, if it were not for the distilleries, we would have no spirits to enjoy. In addition, the role of the distillery is changing: no longer are they just factories pumping out new-make. Today’s consumers are thirsty for education as well as spirits, and distilleries meet that need – while generating revenue for the operating firm. 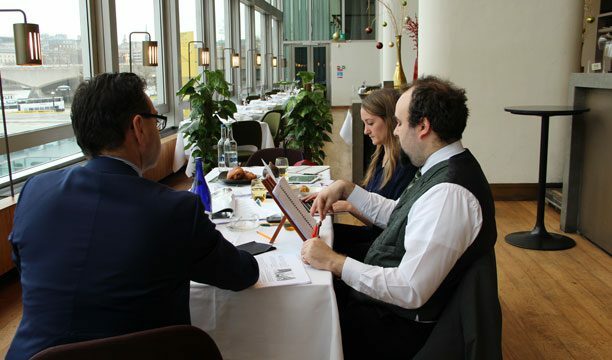 Gathered at Skylon in London’s Royal Festival Hall to sift through and debate the entries were David T Smith, founder of the Craft Distilling Expo, Nicholas Cook, director general of The Gin Guild, and Amy Hopkins, The Spirits Business’s deputy editor, who chaired proceedings. First to come under the judges’ scrutiny was the Consumer Experience category, which attracted a haul of medals. And the first to secure the coveted Master medal was Warner Edwards from the Northamptonshire countryside, a “tiny” distillery in comparison with some other entrants, which showcased its Curiosity Tour in its entry. It gives a nice sense of place and conveys the individuality of Warner Edwards Distillery,” opened Hopkins. 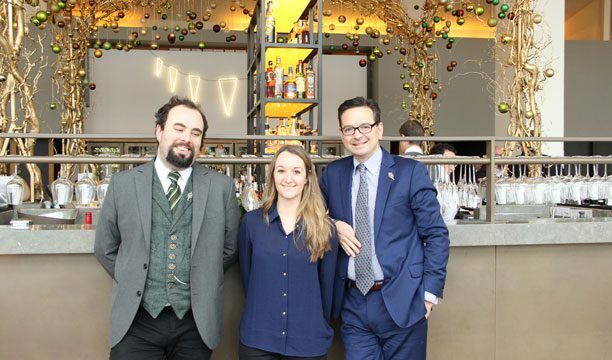 “It’s a nice touch that the founders themselves give the tours and talk about the history of gin. Also picking up a Master was The Lakes Distillery, situated in the stunning Lake District National Park. The distillery impressed the panel with the levels of interactivity through its tour – the illicit still ‘ghost’ was a particular highlight. “It’s interesting to show whisky ageing, even when the liquid isn’t yet ready for bottling,” Hopkins noted. Next up was Bombay Sapphire, which likewise picked up a Master for its striking Laverstoke Mill distillery, located in Hampshire. “This is designed from the ground up for visitors, and it’s beautiful,” praised Cook. Completing the Master quartet was Colorado-based Breckenridge Distillery, which offers tours communicating not just the brand’s history, but the broader history of Bourbon, too. “There’s a huge number of non-commercial products on offer, and with 25,000 visitors a year, they must be doing something right,” noted Cook. Judges also awarded four Gold medals in the category, including: the Glenfiddich Distillery, praised for its wealth of tours on offer; Manchester Three Rivers, where guests can control their own micro-still; Edinburgh’s Summerhall Distillery, noted for its good-value masterclasses; and Finland’s Kyrö Distillery, celebrated for its creativity in a tough regulatory climate. “It’s interesting to see so many distilleries upping their game and realising it’s not just alcohol they are selling – it’s their story,” said Cook, looking back over the entries. “Consumers are genuinely interested in the who, how and what behind their drinks. For Smith, the improvement in this area was clear. “In comparison with last year, the quality and the scope of the experience has increased, and it’s nice to see previous winners continue to improve their offering. “How consumers view spirits is changing, and brands that innovate stay ahead of the game,” he continued. The next category to come under scrutiny was a batch of Digital & Social Media entries, where the strategy and engagement behind the distilleries was discussed. Triumphing with a Master medal was the Kyrö Distillery, which skillfully utilised digital media in a challenging legislative landscape. Also securing a Master was Warner Edwards, which punched above its weight when it came to its digital presence. “Their engagement was really strong across all platforms,” said Smith. 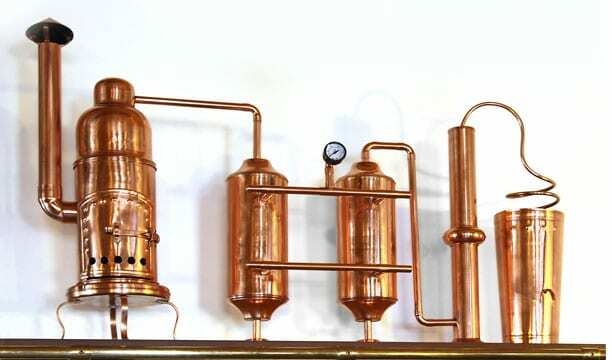 Edinburgh’s Summerhall Distillery secured a Gold medal for its impressive online efforts. “It’s a simple, easy-to-navigate website with an additional feature of where to find the nearest bottle of Pickering’s Gin [Summerhall’s flagship product],” noted Hopkins. “It’s interesting that more than half the staff can use back-end accounts and have proper training.” In fact, the entire panel highly commended the online promotion for the gin-filled baubles in the run-up to Christmas. Judges then turned their attention to the Distillery Facilities category, where the real brick-and-mortar customer offering is put under the spotlight. First to catch the judges’ eye and pick up a Master medal was The Lakes Distillery, deemed “well thought out from top to bottom” by Cook. “The quality of the distillery facilities is highlighted by the statistic that 21,000 visitors go to the bistro, showing that they are offering much more than the straightforward distillery tour,” he said. Also deemed Master-worthy by the panel was Bombay Sapphire’s Laverstoke Mill home. “The cocktail and bar offering is very strong, and the cocktail masterclasses seem to be enjoyable,” Smith said. Kyrö Distillery also drew praise for its offer. “I think it could be easy with a distillery like this to make it more mainstream, slick and fancy, but they are authentic and know what they are about,” said Smith. “Through their facilities they reflect where they are. I feel like I’d get a good sense of what the area is about.” The distillery duly secured a Gold. The penultimate category to be judged was arguably the most technical: Distillery Innovation. Created to celebrate those distilleries pushing the boundaries in terms of production innovation, the small but well-formed pack of entrants more than impressed the panel. Opening the scoring with a Master medal was Bombay Sapphire’s Laverstoke Mill, with an entry that focused on the technology that makes its older distillery building cutting-edge. “They go to the extent that they recycle the spent botanicals – they burn them and then put the ash on local fields as fertiliser,” said Cook. Finland’s Kyrö Distillery scooped a Gold medal in the category. Summerhall Distillery completed the trio and was awarded a Silver medal for its “artistic flair” in production. “This round exemplified outstanding imagination from entrants, which have clearly sought to push distillery innovation to the next level,” Hopkins summed up. Last but not least, the judges reached the Green Initiatives category, developed to highlight and award those distillers going the extra mile to ensure their production has as little impact on the wider environment as possible. It should be no surprise that Bombay Sapphire’s Laverstoke Mill facility secured a Master in this section. “It’s the holistic approach they take, not just the nuts and bolts about distillation and water use; they aren’t even keen on people commuting long distances,” remarked Smith. It was back across the Atlantic where the judges found a second Master medal: at Colorado’s Marble Distillery – claimed to be the only inn distillery in the world, and one with zero waste. Its entry focused on the “first-of-its-kind” Water Energy Thermal System. “The figures for water savings are astonishing,” said Cook, referencing the four million gallons of water the system saves annually. The final entry of the day was from Summerhall Distillery which did not disappoint, picking up a Gold medal. “This is a good example of how you affect your energy use without spending a lot of money – I imagine the payback they got came quickly,” said Smith. All in all, green initiatives are “feel-good, financial, and fundamental”, said Cook. 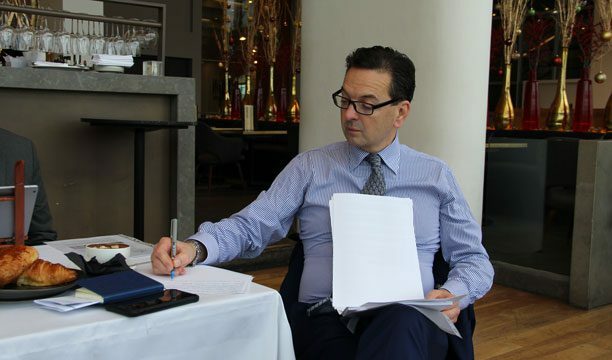 Looking back over the day Smith, who was a member of the judging panel in for the 2016 competition, said he thought the quality of the brands overall was higher than last year. Hopkins added: “This year’s Distillery Masters demonstrated the growing ambition of distilleries to position themselves as high- quality tourist destinations, not just spirit-making facilities.” With many offering a number of different and well-thought-out tours to cater to all different levels of interest and budgets, it’s essential that restaurant and retail offerings are stronger than ever before. “In terms of innovation and sustainability, some distilleries really are going above and beyond to adapt traditional production processes, and to great effect,” she concluded.